I've been busy since I got back from my 2015 Prius Travels, but my traveling doesn't stop. 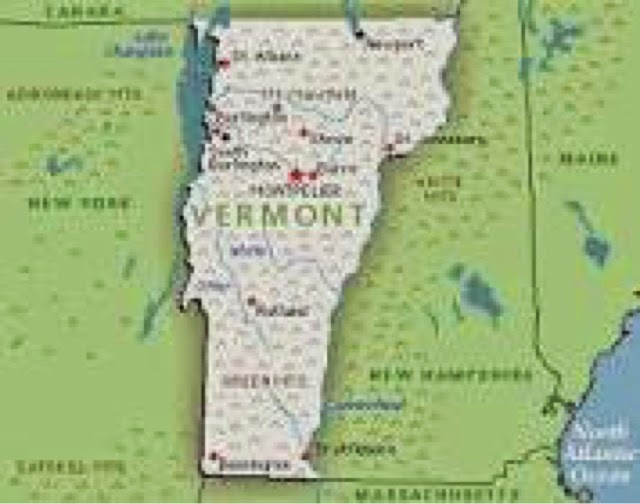 This past weekend I spent in Vermont at a camp I have there opening it up for the season. Thus my Prius travels summaries, that I still have to post, had to stop to fit other things in. The camp is 3 hours away and tucked away in a small town with one Road that is asphalted and the rest are dirt. It was a tough winter with no January thaw. The property suffered a lot of tree damage that I needed to clear off the driveway to get to the camp. Here is a left over hunk of tree that the power company left on the secondary line going through the property. The line and tree are alive. The new neighbors I met told me they were without power for a week in part due to the number of trees on the lines on my property. 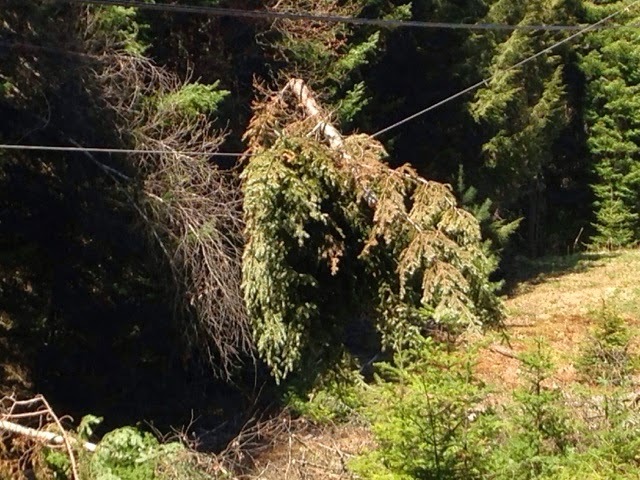 The power company had come through the 1500 foot easement and dropped many trees that were on the wires leaving the ground underneath with all kinds of tree parts. 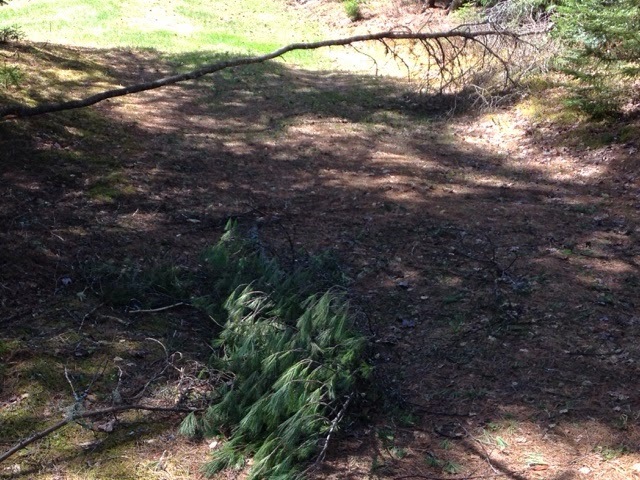 Many evergreens lost the top 10 to 15 feet from what I am told a wet snow that froze and never melted causing them to snap. 4 hours Friday and another 5 hours Sunday cleared the road for my Tacoma Truck to get through and cleaned up a good section under the power lines. More high work is needed so I can open up to be able to get trucks up the driveway if ever needed. This week I will get back to posting some more summary of my 2015 Prius Travels.